Improving today's ballplayer is key to the success of every team. Over the years we’ve seen a gradual change in all levels of baseball, taking it from a game of primarily power to one of speed and athleticism. Today’s game, especially at the elite level, requires year round dedication to strength and conditioning; and a good working knowledge of how the body operates, to help maximize each players abilities. This isn’t to say that “power” isn’t important because it is extremely important. It’s simply to say if you do not take care of the complimentary components of your body, you will never reach your optimal power. Where does this new change in focus begin? It should start at the body’s core. A strong core offers the player the platform from which the player can generate power on a fixed spine, this will enable you to field better, throw harder, and hit the ball farther and more consistently. For a ball player that’s where the journey should begin. I know you’re thinking, this sounds great; but what’s the core. 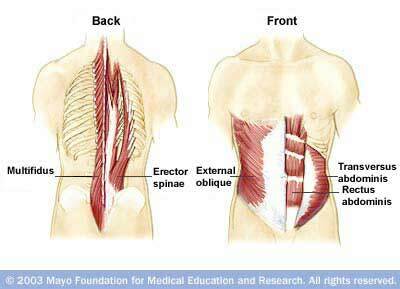 When we say core we mean the bodies mid torso, from your shoulders to your knees. This is an area of strength and mobility. If your core is strong you can expect that your balance will be good, your mobility will be much improved, and you will be physically stronger. So how do we improve the core? Let’s take a look at a few exercises that are sure to help. I am going to give you two of my most effective core training exercises that have catapulted my high school, major college and professional clients to new performance heights. The two exercises are the stability ball roll out and the stability ball knee ins. Here is a beginner sample, complete both of these exercises one right after the other for 2 sets of 10-15 repetitions. Kneel on a mat and place your clasped hands on the top of a medium sized ball. Brace your abs and slowly lean forward and roll your hands over the ball while the ball moves away from your body. Keep your body in a straight line and go as far as you can with perfect form. Put your elbows on the bench and rest your shins on the ball. With your arms straight and your back flat, your body should form a straight line from your shoulders to your ankles. Keeping your back straight (don’t round it), roll the ball as close to your chest as possible by contracting your abs and pulling it forward. Pause and then return the ball to the starting position by rolling it backward. Well there you have it. If you start with the beginner program that is outline in this article you will be that much closer to reaching your optimal power output and you'll be well on your way to improving your game from average to outstanding. So what’s next? To maximize your potential you can’t stop there, you must continue to work on our body. Remember greatness does not happen overnight, and it is definitely not easy. For continued information on maximizing your power potential be on the lookout for my next article that will be focusing on the lower body and its roll in power production. Until then remember, "Stay Fit, you'll not only feel better and you'll play better."